A new purpose built Clubhouse was completed in 2014 which captures the tradition of our wonderful Club and embraces the future. 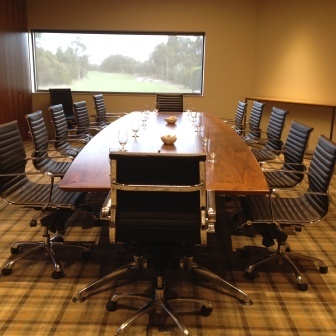 Huntingdale Golf Club is situated 20 kilometres from Melbourne CBD, our Clubhouse adds a sense of style and sophistication to your corporate solutions, with its contemporary design and striking features such as floor-to-ceiling windows that overlook the northern aspect of the course plus outdoor patios and lawns it provides an excellent setting for corporate conferences and functions. The function rooms are equipped with state of the art audio visual equipment and a sophisticated audio system and can be transformed into one large function space. We cater for all occasions. We offer corporate meetings in our board room, larger seminars and conferences in our function spaces, corporate dinners and awards nights, fundraisers, engagement celebrations, anniversaries, birthdays, christenings and memorials. We offer an extensive menu with a variety of options from a cocktail style occasion to a 3 course menu, with a wonderful selection of beers and wines. 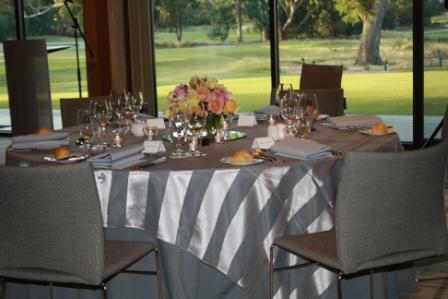 If you are interested in holding your conference or private event at Huntingdale Golf Club, please email functions@huntingdalegolf.com.au or contact the club on 9579 4622.